CIDETEC leads the European consortium to fight antibiotic-resistant bacterial infections. Ø The treatment will include a diagnostic kit that will quickly and accurately identify the type of bacteria that causes the infection and an inhaler that will dispense the drug effectively. Incidence of infections from resistant bacteria is causing alarm worldwide. It is estimated that each year about 400,000 patients in Europe suffer from what is known as resistant infections, of which 25,000 die yearly. These diseases involve certain additional costs in treatments and lost work productivity estimated at about 1.5 billion euros per year. The problem is even greater, considering the low number of active ingredients in development. In a 2009 study carried out in Europe, only 15 systemic application antibacterial agents based on new targets or novel action mechanisms were recorded as being at clinical stages. Because of the above, in 2013, the European Union launched an action plan aimed at funding research projects based on this topic, approaching the problem from different perspectives (new treatments, prevention, resource optimization...). PneumoNP, one of the projects funded and led by CIDETEC, aims to attract a new treatment against pneumonia caused by Gram-negative resistant bacteria. The treatment will integrate a diagnostic kit to quickly and accurately determine the particular type of organism causing the infection, and a new inhaler capable of effectively administering the dose of the drug through the use of nanoparticles. One of the reasons why bacteria become resistant is because of the misuse and abuse ​​of antibiotics. Resistant bacteria become immune to conventional antibiotics, which is why the development of drugs that have antimicrobial activity by using different routes to traditional antibiotics, has a great chance of becoming new star drugs. PneumoNP addresses the development of two new active ingredients, but also aims to direct the drugs by means of nanoparticles directly into the lungs using inhalers, and avoiding side effects. In order to avoid the unnecessary use of broad-spectrum antibiotics, PneumoNP will be developing a diagnostic kit that will identify the particular strain that causes the infection and will allow for the selection of the most effective treatment easily and reliably. To test the efficiency and safety of the developed Nano systems and to allow them to become drugs, the PneumoNP consortium counts on renowned European partners who will develop all the necessary in vitro and in vivo testing needed to reach the clinical phase (trials in humans). Apart from the Fraunhofer Institute in Germany and the Erasmus Medical Center in the Netherlands, the research centre, CIC biomaGUNE, will also be involved in all related to radiology studies in order to observe the bio distribution of the Nano systems. 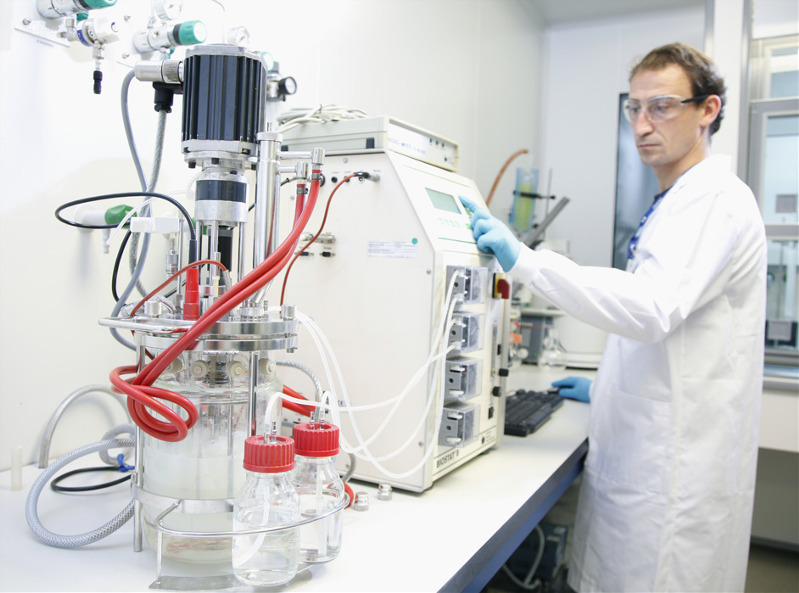 CIDETEC also counts on the appropriate facilities to manufacture Nano systems under the most stringent quality certifications required for the elaboration of drugs. It should be mentioned that the PneumoNP consortium intends to enter the new strategic model called "Open Innovation (OI)." This model is the result of the huge changes that are taking place in the pharmaceutical industry due to patent expirations and subsequent competition from generic drug manufacturers. In the past, the same company carried out the whole drug research phase and development, while now products that have been developed by third parties and need to complete clinical phases for future marketing are now licensed. PneumoNP began operations in January 2014 and the opening meeting will take place on 28th and 29thJanuary at CIDETEC headquarters in the Scientific and Technological Park of Gipuzkoa. The total budget for 4 years is about 6 million euros and comes as a great challenge for the consolidation of CIDETEC in the emerging field of Nano medicine research.